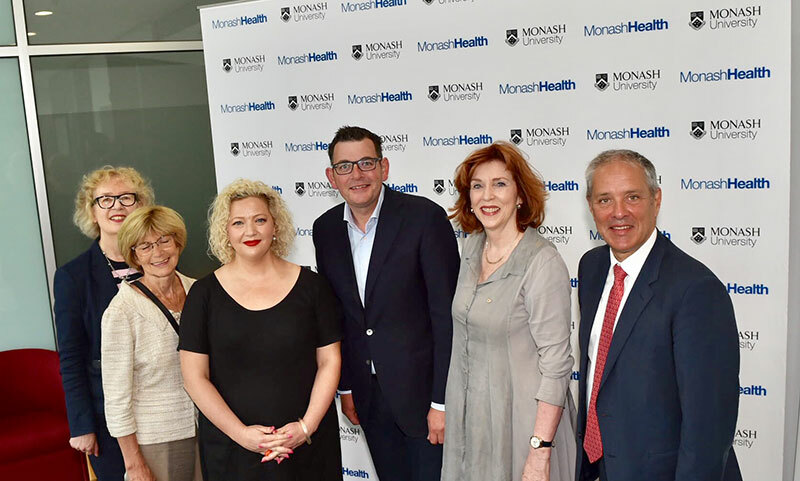 Monash University today welcomed the news that the Victoria State Government has delivered on its promise to fund Australia’s first standalone, dedicated heart hospital, the Victorian Heart Hospital, to be based at Monash’s Clayton campus. The Victorian Heart Hospital is a partnership between the Victorian State Government, Monash University and Monash Health. It is a Victorian flagship health project, which will deliver world-leading cardiac services and boost the Victorian economy through innovation, education and research. Monash University President and Vice-Chancellor Professor Margaret Gardner AO said the Victorian Heart Hospital was essential to address the rising number of Australians with heart disease. “Cardiovascular disease is the number one killer in Australia and the research and training undertaken at the Victorian Heart Hospital will be vital in helping to curb its impact,” Professor Gardner said. As part of the initiative, Monash University will contribute AUD$64.5 million towards state-of-the-art education and research facilities as well as a fund to attract research talent. With the project now a reality, Monash University and Monash Health will also kick start an ambitious philanthropic campaign to support the research program that will take place at the Victorian Heart Hospital’s Research Centre. “As the epicentre of Melbourne’s rapidly growing south east corridor, Monash University offers access to world class clinical education and research and infrastructure as well as our close partnership with Monash Health’s key tertiary hospital, the Monash Medical Centre and proximity to the CSIRO and other important organisations in Victoria’s medical research network,” Professor Gardner said. The hospital also strengthens the innovation chain within Victoria’s most promising manufacturing sector, with opportunities for novel cardiac devices and tissue engineering development. This will be accelerated through being based near to major biomedical engineering infrastructure such as the Monash Centre for Additive Manufacturing, Monash Biomedical Imaging, the Australian Synchrotron and the Melbourne Centre for Nanofabrication, delivering significant health and economic benefits on a local and national scale. “Having looked at other heart hospitals across the globe, we know that these specialist hospitals attract the very best researchers and clinicians,” Professor Mitchell said. Modelled on successful specialist heart hospitals across the world including Barts Heart Centre in London and Montreal Heart Institute in Canada, the hospital will bring together the world’s best in cardiovascular care, research and training in a patient-focused, integrated specialist unit. Evidence suggests that the more embedded research is in the delivery of healthcare, the higher the benefits are for both research and clinical services which in turn results in better health outcomes for patients and lower economic costs. The hospital is a core component of a growing innovation hub in Melbourne’s south east, which will aim to incorporate small and medium medical technology enterprises, creating a pipeline of translation from basic research to commercialisation, leading to jobs creation and bringing economic benefit to the local community.